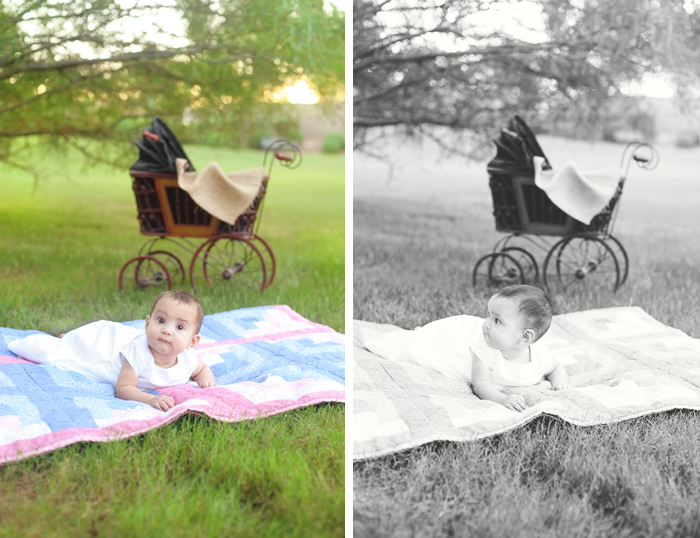 I had a very quick session with this little lady the other night to show off her pretty blessing dress. She is growing up so fast, I can't believe it. I'm glad we finally snapped these photos, because the insane weather and sick kids have kept us rescheduling for quite awhile. But I think it was worth the wait, because I found a beautiful little spot and some gorgeous light... and mix that with a sweetheart on a quilt her mom made years ago and you have a perfect combination. Your daughter is one adorable amd cute girl. I can eat her up. 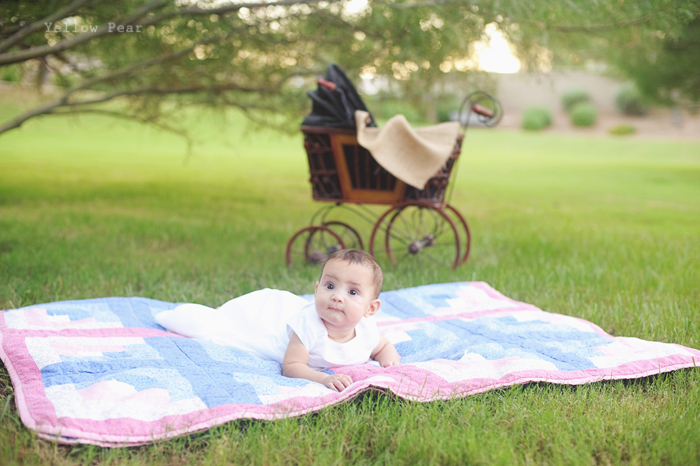 Plus your photography idea is excellent, on the green grass with a beautiful pink blanket, just lovely. The baby and the quilt both are cute. It is always fun to make quilts with your own hands for your kids. It shows your love for them.